This Saturday, the Gingin Science Festival is concluding their 5 week celebration of all things science with a FREE live music concert! 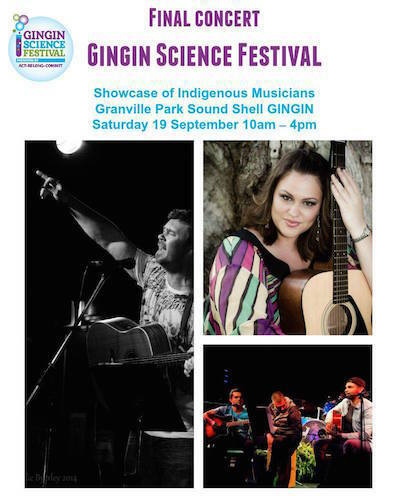 From 10am, come down to Granville Park Sound Shell and enjoy a fantastic line-up of the best indigenous musicians in Perth. Participating artists include award-winning singer/song-writer Ulla Shay, acoustic trio The Struggling Kings and soulful rock band Kim Batty Band.